June 2014 | Matcor, Inc. Earlier this month, Summit Midstream announced new investments into vital Bakken formation infrastructure. In recent Bakken oil news, Summit Midstream Partners LLC announced a $300 million investment in Bakken Formation infrastructure. This prosperous region of North Dakota has rapidly become one of the most vibrant energy producing regions in the United States. 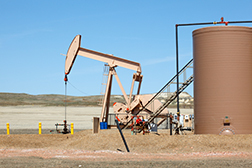 On June 11, Summit Midstream Partners committed to four new projects in the North Dakota counties of Williams and Divide, located in the northwest region of the state. 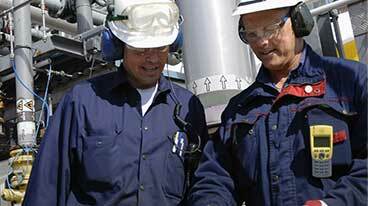 The investment is representative of the swift growth of the Bakken Formation as a national energy leader. The announced infrastructure projects included 240 miles of new pipelines to be constructed by Tioga Midstream, a subsidiary of Summit Midstream. The new pipelines will originate in Williams County, North Dakota for the transportation of crude oil, water, and natural gas. The development will expand daily shipping capacity to 20,000 barrels of crude oil and 14 million cubic square feet of natural gas. Additionally, Meadowlark Midstream Co., a subsidiary of Summit Midstream, is working to construct a 47-mile pipeline to service a crude oil storage facility on the Stampede Rail Connection operated by Global Partners LP. 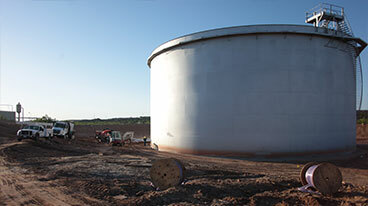 “The crude oil transportation system being developed by Meadowlark further expands our gathering capabilities in the Bakken region, providing our customers with even greater access to refineries and other downstream distribution points on both the East and West Coasts,” said Eric Slifka, president and chief executive officer of Global Partners. As more oil and natural gas is shipped from the Bakken region of North Dakota, industry safety standard becomes increasingly important. MATCOR, a turnkey cathodic protection design and solutions company, provides solutions to protect vital oil and gas infrastructures. “With every new investment in Bakken’s infrastructure, the importance of cathodic protection becomes more essential,” said Nick Judd, director of field operations for MATCOR. MATCOR is a provider of customized cathodic protection systems across infrastructure industries including oil and gas, water, and power. MATCOR leads the industry in cathodic protection services for detection, diagnosis and prevention of corrosion in pipelines. “Summit Announces $300 Million Plan for Bakken Infrastructure,” The Bakken Magazine, June 11, 2014.